William is the Sydney Stein Professor in American Politics at the Harris School of Public Policy and chair of the Department of Political Science at the University of Chicago. William Howell is the Sydney Stein Professor in American Politics at the University of Chicago. Currently, he is the chair of the political science department, and he also holds additional appointments in the Harris School of Public Policy and the College. William has written widely on separation-of-powers issues and American political institutions, especially the presidency. 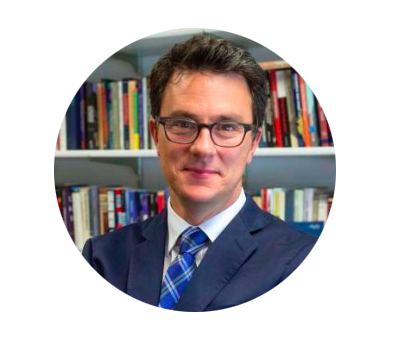 He currently is working on research projects on Obama’s education initiatives, the origins of political authority, and the normative foundations of executive power. William recently published Relic: How the Constitution Undermines Effective Government–And Why We Need a More Powerful Presidency (Basic Books, 2016), which he wrote with Terry Moe. He also is the author or co-author of numerous other books, including: The Wartime President: Executive Influence and the Nationalizing Politics of Threat (University of Chicago Press, 2013); Thinking about the Presidency: The Primacy of Power (Princeton University Press, 2013); While Dangers Gather: Congressional Checks on Presidential War Powers (Princeton University Press, 2007); Power without Persuasion: The Politics of Direct Presidential Action (Princeton University Press, 2003); The Education Gap: Vouchers and Urban Schools (Brookings Institution Press, 2002); and textbooks on the American presidency and American Politics. His research also has appeared in numerous professional journals and edited volumes. William has been a fellow at the Center for Advanced Studies in the Behavioral Sciences at Stanford University. His research has been supported by the National Science Foundation, the Smith Richardson Foundation, the Democracy Fund, and the Bradley Foundation. He is the recipient, among other academic awards, of the Legacy Award for enduring research on executive politics, the William Riker award for the best book in political economy, the D.B. Hardeman Prize for the best book on Congress, the Richard Neustadt award for the best book on the American presidency, and the E.E. Schattschneider Award for the best dissertation in American Politics. He has written for a wide variety of media outlets, including the Wall Street Journal, New York Times, Foreign Affairs, Foreign Policy, Education Week, and Education Next. Before coming to the University of Chicago, William taught in the government department at Harvard University and the political science department at the University of Wisconsin. In 2000, he received a PhD in political science from Stanford University.